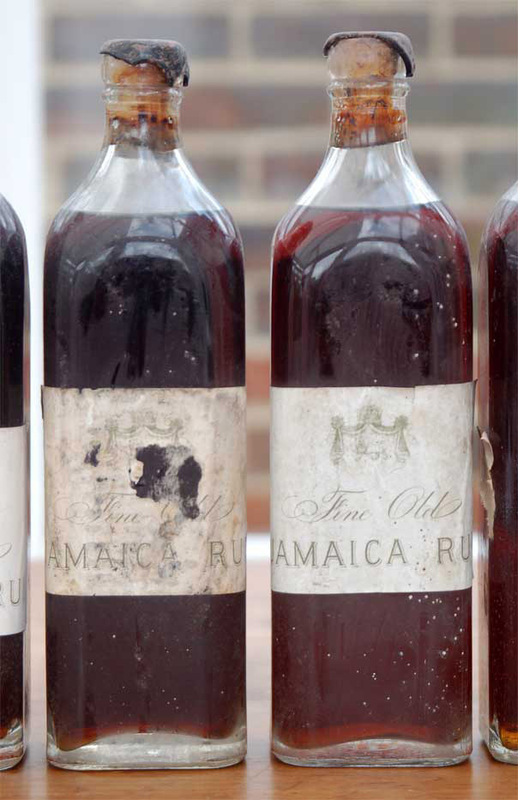 Saintsbury writes how rare old fashioned dark rums (like these bottles) were becoming, and how superior they were to the paler, lighter rums then coming into vogue. Huge, room-filling scent the instant the cork was pierced. Fabulous deep old-gold colour, like an aged muscat. 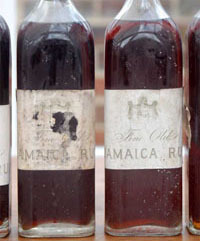 Intensely powerful nose - toffee, prunes, old marmalade, dates, overripe mango, caramel, vanilla, allspice. Initially sweet on the palate, oaky and woody notes with a pronounced citrus character - tangerine and lime. Good acidity. Talk about this article in the forums.